Kwikspace is Africa’s largest manufacturer of prefabricated buildings. 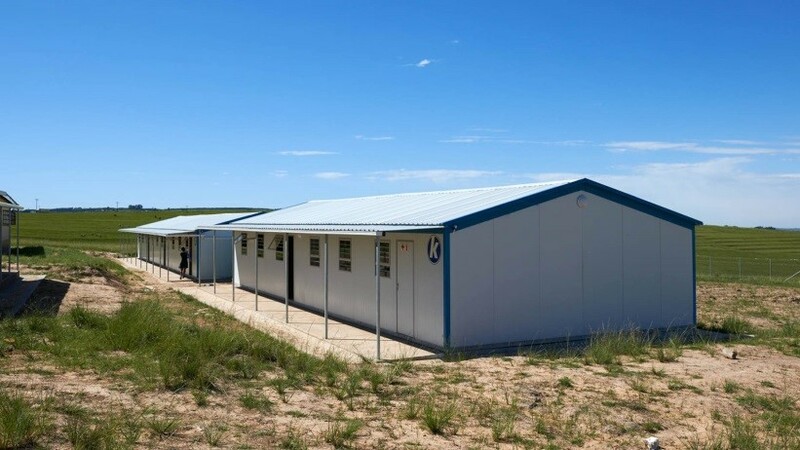 Delivered quickly and ready for immediate use, our prefab buildings are a cost-effective way to rapidly meet your needs to supply space: for homes, schools, clinics and offices and the mining, construction, government and humanitarian sectors. Need temporary space? Kwikspace operates the largest modular building rental fleet in sub-Saharan Africa. Our high-quality products backed by fast response times and reliable service have made us an African leader in prefab buildings. Prefabricated to your requirements for delivery within 2 – 4 weeks (5 – 10 working days for rentals), anywhere in Africa! Our original CI parkhomes! 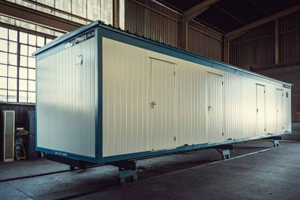 These mobile buildings are available in any configuration as required. Versatile, plug-and-play buildings, from small huts to buildings 6, 9, 12, 15 or 18 m in length, 3 or 3.5 m wide. Structures are joined on-site and connected to create buildings up to 7 m wide. Ideal for classrooms. 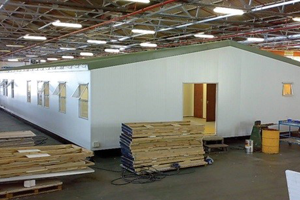 Fabricated in the factory in modules, enables us to supply a wide range of sizes for all types of buildings. We supply a range of Alternative Building Technology walling and roofing systems so you can build customised sites. Our prefabricated accommodation facilities are designed and manufactured to every to every individual client’s request. Kwikspace offers multiple layouts for prefab houses (single or shared accommodation, residential houses & dormitory style facilities), which are as comfortable as traditional buildings. 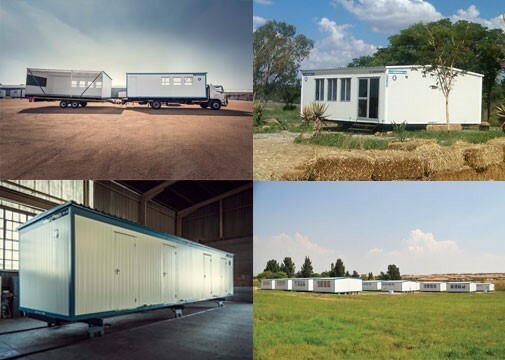 From a single mobile home to complete accommodation camps, we have the capabilities to meet your exact requirements for space with a prefab solution. We’ve delivered and assembled thousands of modular classrooms in the last 5 years, creating space for young minds to grow. Entire schools can be established using our prefab technology, which is ideal for modular classrooms, ablution facilities, offices, libraries, laboratories and more. We understand the need for fast, efficient solutions in the medical industry where time is of the essence. That’s why our rapidly deployed modular buildings make excellent mobile clinics, hospital wards, dispensaries, laboratories and consulting rooms. 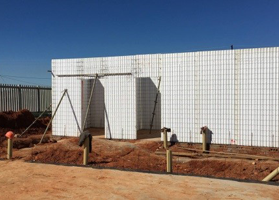 From hospitals and medical centres requiring additional treatment space, to rural clinics not easily accessible by roads, our prefabricated building solutions provide rapid healthcare space. We provide a comprehensive range of camp products across sub-Saharan Africa. Easy and quick to install, we ensure modular camps are set up on schedule and within budget. 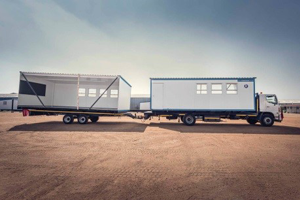 We provide a full range of prefabricated solutions for remote camps and construction projects, including accommodation, kitchens, diners, recreation buildings, gymnasiums, offices and changing rooms. What makes Kwikspace’s prefab buildings superior? Not only does Kwikspace use thicker steel grade than the industry norm, our units are insulated with polyurethane foam, providing superior strength and thermal properties than industry-standard expanded polystyrene (EPS). Kwikspace panels are coated in 0.5 mm aluzinc painted steel, providing improved corrosion resistance and increased durability and longevity of your prefab building. Need temporary space? Get a rental! Kwikspace has the largest modular building rental fleet in sub-Saharan Africa! 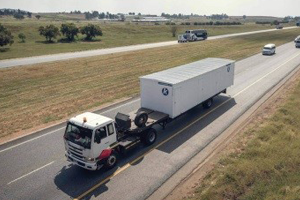 Through our branches in South Africa, Mozambique and Zambia, we ensure rental units are delivered quickly (generally within 5 – 10 working days) and are ready for immediate use, no matter where your site is. Speak to us about your prefab building requirements! Send us an enquiry or call 011 617 8000. 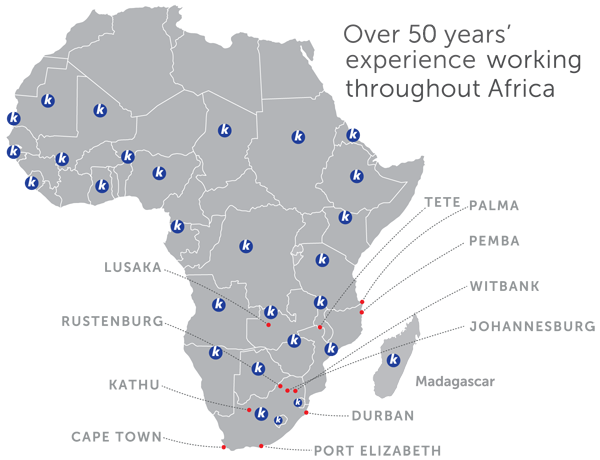 With 6 branches strategically located across South Africa, as well as 2 in Mozambique and a branch in Zambia, we are able to reach your site quickly and efficiently, no matter where. We have significant capacity with our own panel manufacturing plant, where we carry out stringent processes to ensure the highest quality fit for onsite and mobile units. That’s why for over 50 years, companies and organisations have relied on Kwikspace to help them establish large-scale prefabricated building projects reliably on time and in budget, ranging from accommodation camps and large schools in remote regions to offices and amenities for large corporates.